The H.P. Tourism Development Corporation Limited (HPTDC’s) premium property The Palace Chail has got Heritage Status and now become the first of its Heritage Hotel. The Govt. of India, Ministry of Tourism has notified The Palace, Chail for classification under Heritage Status. The communication to this effect has been received in the office of Principal Secretary (Tourism). 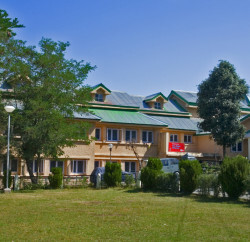 In this context, three members committee constituted by the Ministry of Tourism, GOI visited The Palace, Chail finally on 30th January, 2012 and inspected/ verified all the requirements needed for classification under Heritage Status and observed that the same are complete and fulfilled in all respects. 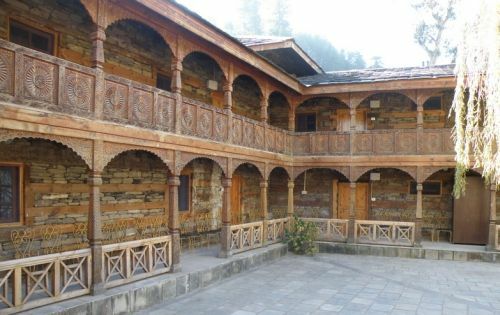 For the first time during July, 2010, it was decided to obtain the Heritage Status for The Palace, Chail and The Castle Naggar, Kullu, too the heritage properties of HPTDC and detailed proposals were sent to Govt. of India, Ministry of Tourism. Accordingly, the GOI appointed a high level committee of seven members under the Chairmanship of Regional Director (North), Govt. of India, (Ministry of Tourism) who visited both these properties during January, 2011 and inspected and verified the facilities available there requirement of classification under Heritage that some of the Status. The inconsonance with the committee observed requirements need to be complied alongwith providing of ramps for differently abled persons etc. 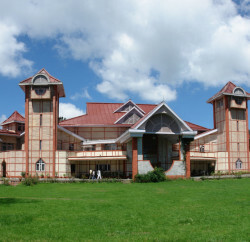 The HPTDC completed the same and accordingly, The Palace, Chail has been granted the Heritage Status in the first place. The process in respect of The Naggar Castle, Kullu has also been completed in all respect and it is expected to get its Heritage Status soon, the MD further added. In addition, detailed proposals are also being sent to GOI for granting heritage status to the property known as The Kashmir House at Dharamshala. By getting Heritage Status for The Palace Hotel, Chail from Government of India, Ministry of Tourism, it would add a feather in the cap of Corporation property and now this will be on the Global map and able to attract more and more foreign clientele.